Nyanko is a relatively new company, specialising in software- and game development. We provide custom software- and web application development to clients, in addition to the software products and games we will soon offer as well. Please take a look at their respective pages in the menu for more information. Today the new Nyanko site was launched together with the first Alpha-release of the new Sparrow project. 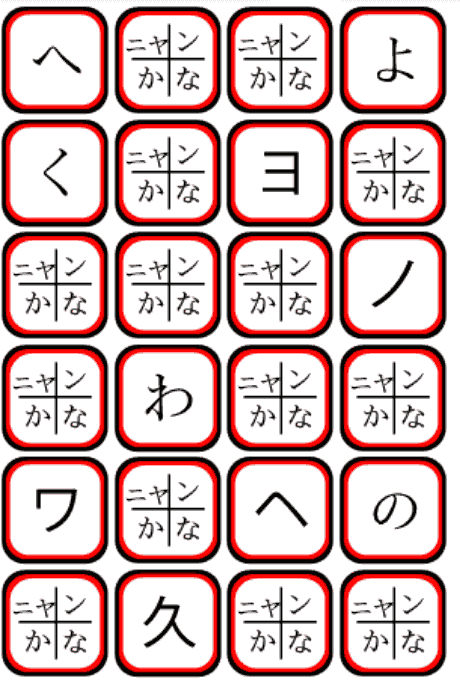 Today NyanKana: Kanji Phase 1 has been released for the Android platform. It's an educational, flash card-like application featuring the first 80 kanji taught to Japanese school children. Today is the release of NyanKana: Kana Memorized educational game, for the Android platform. A Windows and other ports are under consideration at the moment. Today the refresh of this site was completed. You will find that some content has been reorganized, added or removed. Meanwhile work on current projects (games) continues. Standby for exciting updates on our first game releases during the coming weeks and months, including NyanKana: Kana Memorized and TileWars.